No other recognisable horse breed has a history dating back so far as the horse with the jungle spots. Etched forever in the earliest cave paintings, depicted in art throughout the centuries, immortalised by Hollywood, the spotted horse rose to become the pride of Nations and progentior of many modern breeds, including the famed Lippizaner. Their companionable natures and incomparable beauty are just some of the endearing qualities that assure a strong future for the modern Appaloosa. Undeniably, in more ways than the obvious, this is indeed a horse with more of those special qualities so highly desired in modern times. While Appaloosas may be best known for their stunningly beautiful coat patterns, not all Appaloosas actually show this. Even in the absence of coat colour there are other inborn characteristics that make recognition undeniable. No other breed shows the white scelera, the thinly striped hooves, or mottle skin, quite like an Appaloosa. These characteristics are different than those sometimes seen in other breeds, but which the experienced observer can easily identify. Not all Appaloosas are produced by an Appaloosa to Appaloosa mating. Outcrossing is permitted because the Appaloosa carries such varied and dominant genes. 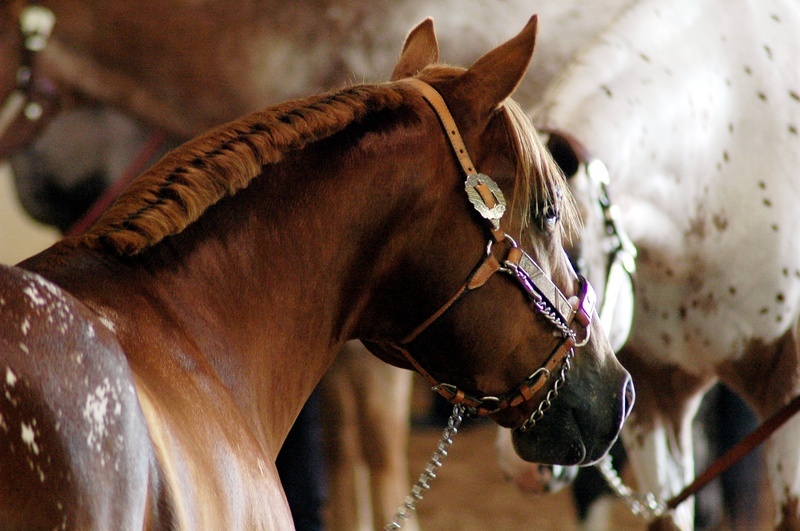 Some are produced by out crossing to registered individuals from the following breed Associations - Thoroughbreds, Quarter Horses, Warmbloods and Arabians. Outcrossing still can produce dramatically coloured Appaloosas. There are a number of highly credentialled stallions available in South Australia for mare owners wanting to breed their own Appaloosa foal.